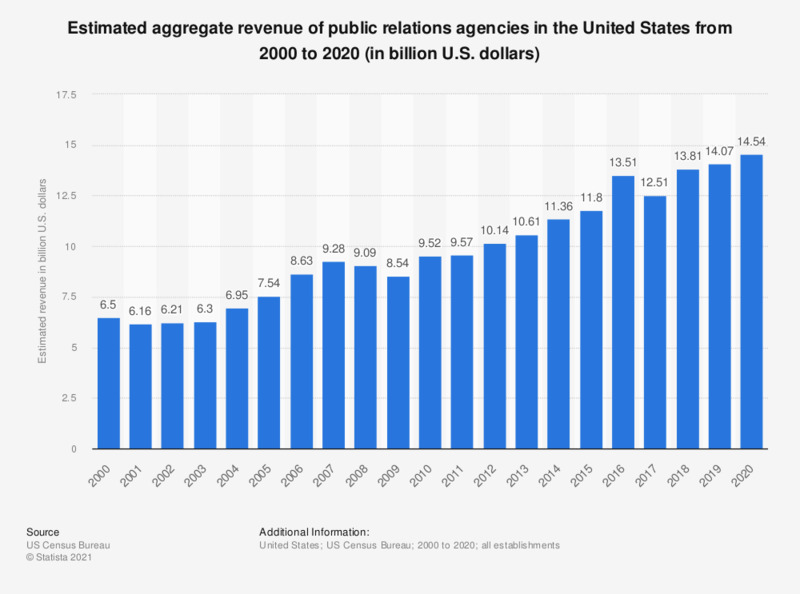 The statistic presents estimation data on the annual aggregate revenue of U.S. public relations agencies from 2000 to 2017. In 2017, U.S. PR agencies generated a total revenue of 12.48 billion U.S. dollars. Estimates cover taxable and tax-exempt firms. Estimates have been adjusted using results of the 2012 Economic Census where applicable. What are the three most important challenges for PR and communication in 2014? What is the primary goal of your company or your clients regarding social media work? What are the three greatest fears of the heads of communications?